Laminating sheets offer instant, permanent document laminating without heat or hassle. The permanent two-sided protection applies in seconds without heat or machines. Adhesive is pressure sensitive. Use to protect your photographs. Ultra-clear sheets let the picture show through. 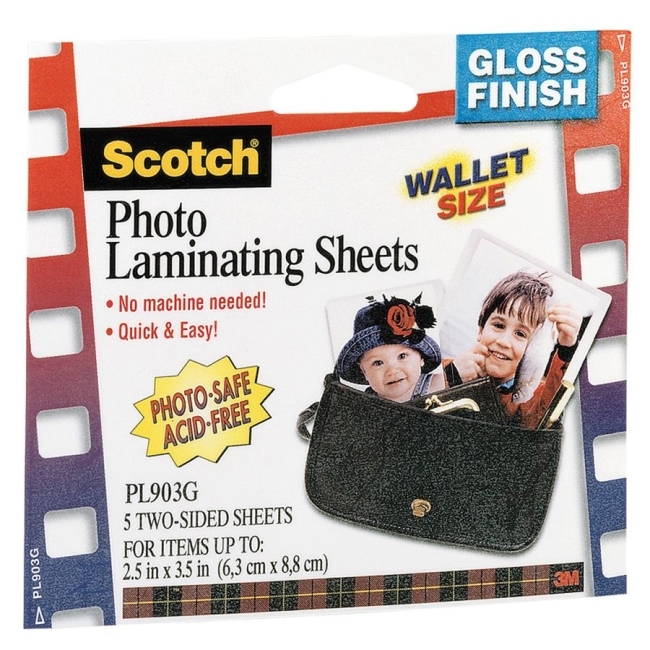 Laminating sheets are acid-free and photo-safe.